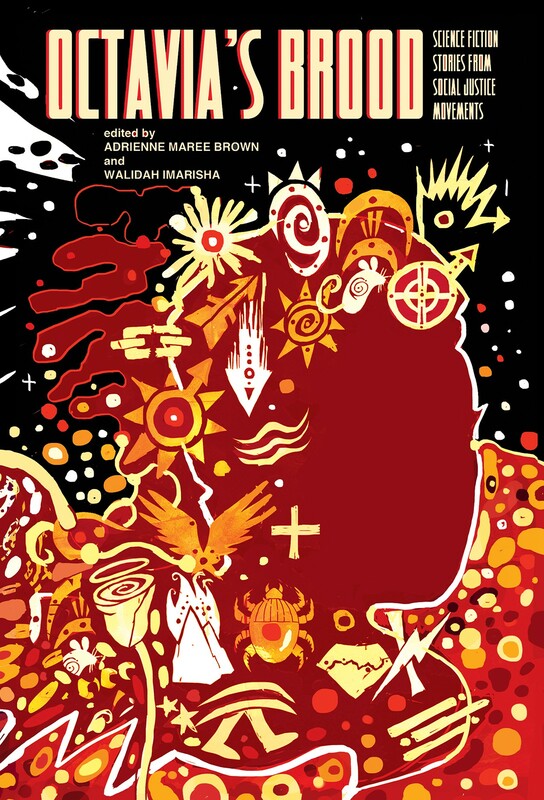 Octavia’s Brood, an anthology of “science fiction stories from social justice movements” edited by Walidah Imarisha and adrienne maree brown, is available for pre-order. Originally intended to be self-published, after a successful crowdfunding campaign they decided instead to publish through AK Press, who are handling distribution. The anthology consists of radical science fiction/speculative fiction/fantasy/horror/magical realism short stories written by activist-writers who are actively involved in building movements for social change. They use their experience doing community work as the muse for their fiction. The collection will also include essays about the radical potential of science fiction by people like award-winning science fiction writer Tananarive Due and award-winning journalist and political prisoner Mumia Abu-Jamal. Octavia’s Brood (to be released summer 2014) is the first book to explore deeply the connections between radical science fiction, what we call “visionary fiction,” and movements for social change through the vehicle of short stories. We believe that radical science fiction is actually better termed visionary fiction because it pulls from real life experience, inequalities and movement building to create innovative ways of understanding the world around us, paint visions of new worlds that could be, and teach us new ways of interacting with one another. Visionary fiction engages our imaginations and hearts, and guides our hands as organizers. Many radical minds believe this field was evolved by late science fiction writer Octavia Butler, for whom this collection is named. Butler explored the intersections of identity and imagination – exploring the gray areas of race, class, gender, sexuality, militarism, inequality, oppression, resistance and most importantly, hope. The book will include short stories from LeVar Burton, Terry Bisson, Alexis Pauline Gumbs, Alixa Garcia, Autumn Brown, Bao Phi, David Walker, Dani McClain, Dawolu Jabari Anderson, Gabriel Teodros, Jelani Wilson, Kalamu ya Salaam, Leah Lakshmi Piepzna-Samarasinha, Mia Mingus, Morrigan Phillips, Tara Betts, Tunde Oluniran, Vagabond, adrienne maree brown and Walidah Imarisha, essays by Tananarive Due and Mumia Abu-Jamal, as well as an introduction by Sheree Renee Thomas. You can pre-order now or read more on their blog or Facebook. This entry was posted in Uncategorized and tagged adrienne maree brown, ak press, anarchism, octavia's brood, science fiction, sff, social justice, walidah imarisha on 2015/02/10 by skud.